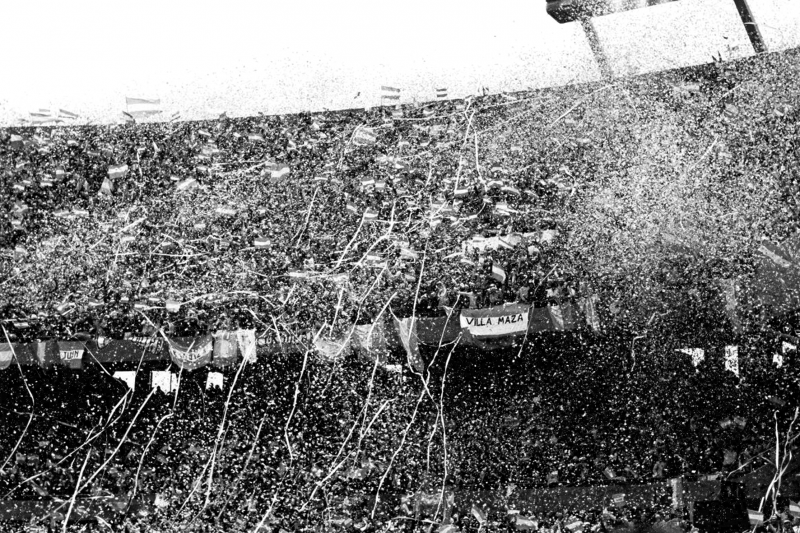 Forty years ago, Argentina organized and won a World Cup while the country succumbed to state terrorism. Celebrations won the streets despite the state of siege. Every Thursday in the Plaza de Mayo, the Mothers claimed for their children to the foreign press. The local media, for the most part, obviated their claim. The goals were shouted in the clandestine centers where the euphoria shouting mixed with the torture screams. The party and the horror. Clemente's invitation to challenge the mandates of the dictatorship condenses part of the superimposed realities of our country during the 78 World Cup. Different realities Papelitos intends to address. In 78 stories, this multiplatform research developed by Memoria Abierta and NAN, with the support of the Embassy of the Netherlands, collects testimonies, recovers speeches, reconstructs stories and offers analysis of different perspectives that went through that sporting event: that of its actors –football players and coach staff from Argentina and other countries–; the protagonists of the context of terror –men and women kidnapped in clandestine detention centers, their relatives who didn’t know what had happened to them, the human rights organizations–; that of those who from exile struggled to turn that sporting spectacle into an opportunity to reveal the crimes against humanity that happened in Argentina; the one offered by the media, which was reflected in the cultural expressions; the experience of the fans; the experience of the repressors. 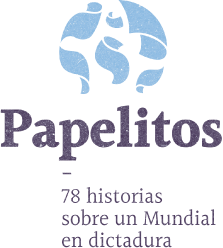 Papelitos, 78 stories about a World Cup under a dictatorship. 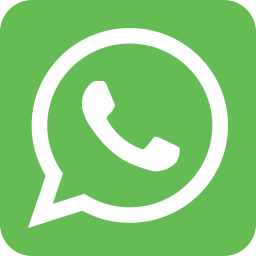 This work is the result of an alliance between an entity dedicated to the preservation of the memory of State terrorism, Memoria Abierta, and NAN, a self-managed journalistic group dedicated to artistic, social, political and cultural issues.